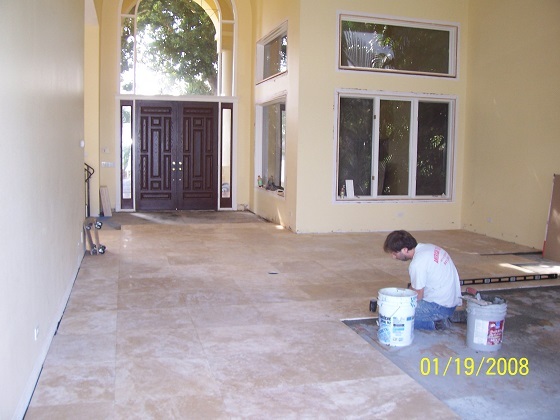 American Tile, Inc. began in 1999 as a professional installation company. After 4 years of installing Marble, Travertine, porcelain tile, granite, slate, wood flooring, and carpet we created our sister corporation, American Tile and Stone. We sell surfaces for all of your flooring and wall needs. Our focus is to work with you on your ideas and budget to achieve the final dreams of your designs. Our expertise in installation and knowledge of product is quite extensive. Whether you have your own professional and licensed installer or not, we are here to guide you through the ins and outs of the best way to have forever lasting results. Backsplashtogo.com evolved with those that need some professional tips of the trade to make their DIY project easy as possible. There is no question too small or large. Backsplashtogo offers discounts to the home owners, builders and those in need product for large product. Never pay full price. We are here to assist and our professionals are on call to answer questions during business hours throughout the entire U.S. Throughout our 20 years of installation of surfaces such as shower walls, flooring (interior and exterior), we pride ourselves of beautiful results giving our clients extreme pride of their home. If there are any products which you cannot locate on our site, please call our office with an inquiry (941) 365-8453. Our website does not list every product on the market due to it being thousands of choices and new products produced every day. We work with the leading manufacturers from Italy, Spain and throughout the world being committed to providing you with quality materials. Our mission is to provide the best prices offered on the market for all surface products. Check out our newest collection of eco-friendly tiles which not only helps you but you helping the world in our green product selections. We wish you the best and a life time of enjoyment of our products installed in your home and we appreciate all the clients since our birth 20 years ago that has helped us build American Tile and Stone.